When you think of safety glasses, for most people the image of a plain clear plastic mold comes to mind. Simple, uncomplicated, and neither attractive nor unattractive. But what about when you get a pair of personal safety glasses built with your prescription in the lenses? Safety glasses are ultimately utilitarian but they don’t have to be plain or simple. Let’s face it, almost anything you need safety glasses for is cool by definition. Manufacturing, construction, vehicle maintenance and lab chemistry are all incredibly interesting professions. Why not get yourself a pair of prescription safety glasses that not only reflects the coolness of your job but your own unique personality as well? When you order a personal pair of glasses, safety or otherwise, you have a lot more freedom in both function and style than simply picking up a pair of generic goggles from a bin before getting to work. You can choose flattering frames, tint the lenses, and get useful coatings those default glasses never have. The only question is which options you’ll choose. They say form follows function so we’ll start with all the options for prescription safety glasses that can improve or augment their functionality. These should be chosen based on your personal needs and the requirements of your occupation. You can select from special options for vision correction, an increased durability rating due to your activities, or a special coating to deal with your work environment among other useful features. First and foremost when ordering any pair of prescription glasses, whether or not they are for safety purposes, is choosing what you need from the lenses themselves. If you need bifocals, the good news is that you can get them in safety glasses. 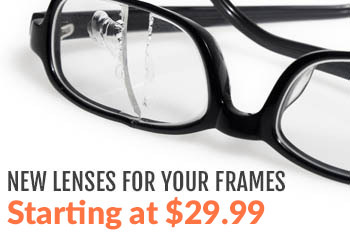 You can choose from Bifocal FT-28, FT-35, and even progressive bifocals. For those who aren’t familiar with them yet, progressive bifocals are line-less meaning they transition smoothly from one prescription to the next without a line in the middle of your lenses. To adjust your range of focus, simply look through a higher or lower portion of the lens as usual. Next is your choice of lens material. This matters a great deal as the strength of the material you choose will determine how impact resistant your safety glasses are. Of course, each material also comes with its own index, allowing you to select normal or high index lenses. For grinding, sanding, manufacturing, construction, and shop work, we recommend polycarbonate at a 1.59 index or Trivex at an almost normal 1.53 for those of you with less intense prescriptions and no need for a higher index. However, if you’re working in a lab, clinic, or another environment in which your main concern is light or splash rather than impact, you can select high index plastic at 1.67 or Thindex which nearly tops out at 1.70. Especially if you’re looking for safety glasses that can be worn all day during normal activities, transition lenses are an incredibly useful feature. These lenses are photochromatic and respond to bright lights by darkening into shades, then resuming normal clarity when you return to more softly lit areas. Transition shades save you from having to switch back and forth between sunglasses and normal glasses. Next, let’s talk coatings. Lens coatings are some of the most useful choices you can make for any pair of glasses. The vast majority of lenses come with scratch coating included but you can get an extra protective layer as well for additional surface durability. Anti-reflective coating is recommended for higher index lenses but is also useful for everyday use to prevent your glasses from turning into dangerous reflective surfaces. If you live or work somewhere humid, anti-fog coating is incredibly useful as it prevents vapor from forming drops or fog on your lenses, potentially blocking your vision. Finally, if you work near a lot of UV exposure or in direct sunlight, extra UV protection can help to prevent early cataract development. Now that you’ve chosen all the useful things about your new pair of prescription safety glasses, let’s talk fashion. No, not runway dresses made from lawn furniture kind of fashion. Just simple ‘does this look good on my’ kind of fashion. Fames that flatter your face, getting to choose your favorite color, and details that make your glasses not just safe but incredibly cool. The shape and design of frames you choose should be determined by a combination of your own sense of style and the shape of your face. Squarer faces need rounder frames, longer faces need wider frames, and round faces look best in square frames. It’s all about balance. There are dozens of safety glasses frames to choose from so the choice of frame thickness, design, and decoration is up to you. Ever want a pair of safety glasses in your favorite color? Now that you’re getting a personal pair, you can have them in any color you want. Safety glasses frames, while often presented in muted blacks, browns, and silvers can come in all sorts of colors. If you have a favorite, skim around for frames that come in that color. Otherwise, find a pair of frames you like and choose the most attractive color from those available. This is a great way to casually show off your personality in the workplace and never have your safety glasses mistaken for someone else’s should they ever be left on the same table together. If your safety glasses can be tinted, then here is a whole new opportunity for personalization. There’s nothing quite like custom tinted sunglasses to show off your individuality. 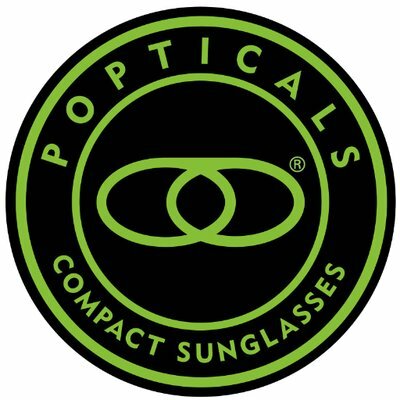 This is your opportunity to go to work every day with rose-colored glasses or flaunt a bold orange lens tint to show your lighthearted attitude. You can also generally choose from the standards like light or dark gray, brown, or yellow. Work outside a lot and want something really cool? You can transform your safety glasses from utilitarian eyewear into a blast from the past with colored mirror coating. With even more color options than the lens tint, these mirror coatings combined with an aviator style frame and people won’t even realize you’re wearing safety glasses. They’ll think you’ve stepped directly out of the 80s. Your mirroring options include silver, blue, gold, red, and green for an ultimate selection of amusingly cool safety shades. Finally, let’s not forget the fact that every pair of glasses comes with a plethora of accessories. To keep your glasses safe, clean, and nearby you can choose from a variety of additional kits and supplies. With each pair of prescription safety glasses you order, you can also get a microfiber bag, a retainer cord, and a black hard case to help keep track of your glasses. As for cleaning, you can get a microfiber cleaning cloth, fog busting towelettes, special soft lens wipes, and an entire glasses maintenance, repair, and cleaning kit. You don’t even have to get all of them, you can always pick and choose instead. Slipping on those old standard safety glasses over your normal prescription pair is always a hassle and to a certain extent, a safety hazard of its own. A pair of prescription safety glasses not only solves your eyewear problems at work, you can customize them for ultimate utility, appearance flattering, and coolness factor in one fell swoop. For more information about prescription safety glasses, contact us today! Such an helpful post. Thank you for sharing this article.